My jellybean hangover has set in just in time for another dose of winter weather. While I'm a born and bred Buffalonian, enough is enough. I'm officially over snow, wintry mixes, and any weather that remotely resembles winter. It's been a trying winter for our two tiny tots. We're lusting for warmer weather. Saturday's mid-fifties temperatures sent us to the Turtleback Zoo, J&M Home and Garden, and a few other local stores around town. This morning we're staring out the window and willing the snow to melt. 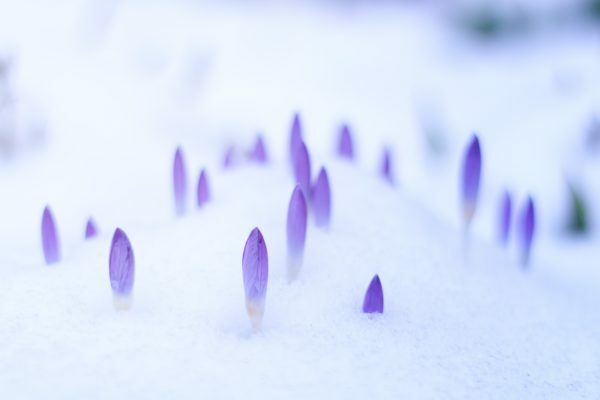 As you shovel, snow blow, or sulk, here are some things you can do as you await spring to return from her apparent sabbatical. Register for the Madison Pool. I am beyond excited about our family's membership to the Madison Pool. It's our first full summer as Madisonians and the pool is a priority based on the rave reviews it receives from local residents. If you're on the fence or new to town like me, check out the awesome opportunities for family fun. Explore summer camps. For the crafty kid, consider these options. Do you have a preschooler? If so, look no further than here. If you want general camp information, here's a good place to begin. Plan your park visits. I'm ready to embrace and enjoy some of New Jersey's best and most beautiful parks. With little ones in tow, I try to keep it local, but there are an abundant amount of opportunities for adventure. While the shore is an obvious summer destination, I'm also in search of day trips that make travel and nap timing less worrisome. Places like Brookhollow's Barnyard gift me some locality and leisure. This place was all the rage for my sweet girl last year and I'm excited to take her back for more fun and farm-like experiences. Google and plan for trips to the smaller amusement parks within the Garden State. Listen, I'm a Disney World fanatic. For me, there's nothing better than the mouse, a day at the Magic Kingdom, and the parades down Main Street USA. With this noted, there are lots of local options for families who desire affordability and accessibility. Storybook Land, The Land of Make Believe, and Diggerland, I'm coming for you. This summer I'm determined to make the most of what's nearby and treat my toddlers to some smaller and special places. Check your local library for discounts because there are steals for admissions and attractions regularly available. Eventually, Mother Nature will subside with this snow nonsense and give us back our beloved blooms, sunshine, and general signs of springtime. Until then, here's to planning and plotting our warmer weather adventures.